How Do Plumbers Detect Water Leaks? The massive inconvenience of a water leak in your home or office can happen at any time, especially if the plumbing and heating system is quite old. 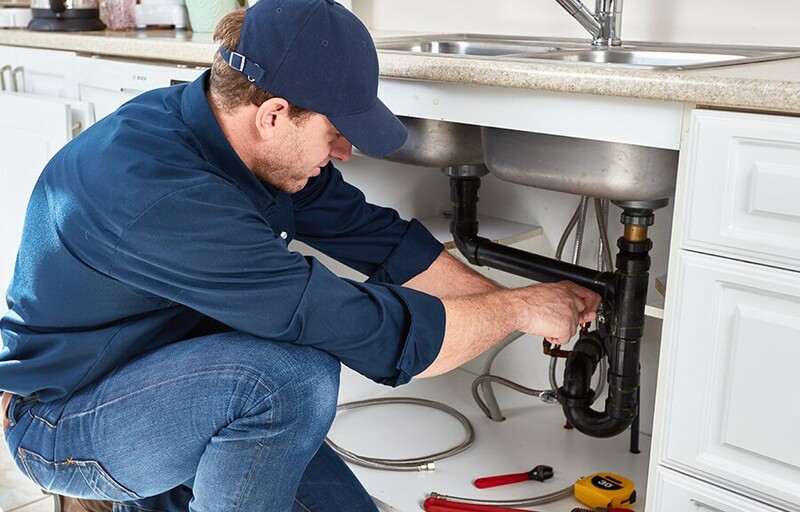 Many home and business owners would benefit from knowing how a professional plumber identifies a leak, and what is considered when repairing it. So how do plumbers detect water leaks? If you think that you may have a water leak in your home or office, then consider our troubleshooting guide to learn how plumbers detect water leaks in properties. So what causes them and how do plumbers detect water leaks? There are many causes of water leaks in properties. The most common fault is not down to faulty parts, but inadequate installation. Copper pipework is one of the first things that are taught when completing your plumbing and heating professional training. Your ability to safely and correctly fuse copper pipe together is tested to ensure that you have the practical and theoretical knowledge to maintain a plumbing and heating system. Not far off the installation faults are of course the chances of faulty parts. Now 9/10 times, plumbing fittings and bolts never have an issue. Washers are fitted without any problems and plumbing fixtures are left secured. However, if you do come across a faulty part or fitting, the majority of manufacturers will offer a guarantee. Simply contact the manufacturer and provide any details that they request and a new part will be provided, usually free of charge. There are many ways for plumbers and heating engineers to identify a water leak. The most popular and easiest way (although a small cost is involved) would be to use a thermal imaging camera. These are perfect for hot water systems and underfloor heating installations. The infrared camera locates the hot-spots that are hidden behind stud walls or floorboards and presented on a small monitor. The plumber is then able to identify the cause and provide a repair. If there seems to be a leak in the central heating system – the easiest way to confirm it would be by assessing the central heating boilers pressure. If there is a leak in the pipework, the pressure on the boiler may drop considerably over a short space of time. Previous PostPlumbing Trends of 2016: A Look BackNext PostWhat Do Plumbers Wear When Working?